RSS Uttaranchal has appealed the nation to help for the extensive damage caused due to flood calamity. Devia Apda Peedit Sahayatha Samiti has been initiated for this purpose. 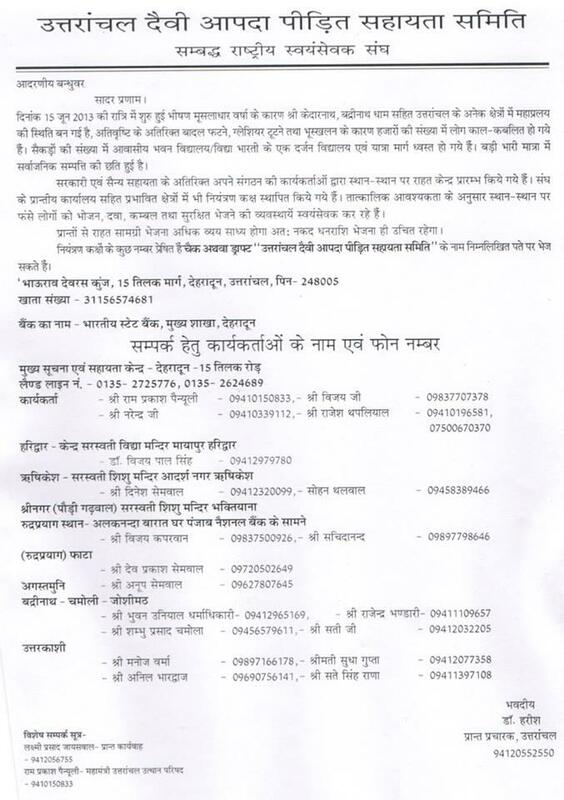 Donations are accepted in the name of ‘Uttaranchal Deivi Apda Peedit Sahayata samiti’. Various numbers to contact for help is given in the letter below.